Burnout affects some of the very best nurses, taking them away from the nursing profession. 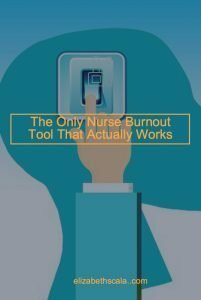 And what’s interesting to me is that I do not think people really understand the true nature of burnout or have nurse burnout prevention tools that work. 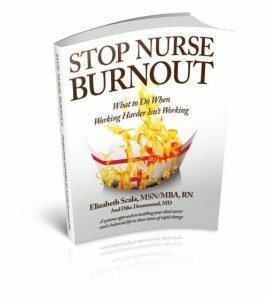 Recently a physician colleague, Dr. Dike Drummond, and I published a new book, ‘Stop Nurse Burnout’. Dr. Drummond had already written and published the book ‘Stop Physician Burnout’ and contacted me back in 2014, to see if I would be interested in a joint project. Oh no- it was for real. And while one might think that taking a book already written on physician burnout and editing it to suit the nursing profession was easy- it was a lot of work. I have come to spend a lot of time with Dr. Drummond over the past two years. Back and forth in emails. On phone calls. Editing, revising, updating, and making brand new. Even in person- as I was able to attend one of his trainings for physicians on burnout. And after the months in Dr. Drummond’s presence, I have come to view burnout as something different. It is not a problem. What!?!?! That’s right. Dr. Drummond will teach you, as he has taught me, burnout is not a problem. A problem has a solution. Burnout is much more than that. And that is why typical nurse burnout prevention tactics just don’t work. 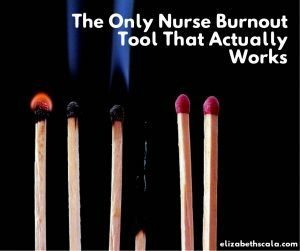 Maybe this is why we struggle in nursing to find a simple fix for nurse burnout. Start to see burnout as more than a problem that has an easy fix. Shift your perspective to include the fact that burnout is a multifaceted dilemma that needs a multi-pronged approach. Notice your own perceptions and beliefs around burnout. Do you think that burnout is just physical stress? Have you tried to eat healthier, rest more, or exercise to ward off burnout? When a colleague tells you that they are feeling emotionally drained or frustrated at work, what is your response? Do you offer a quick fix and hope that it will work for them? Again, if burnout is psychological stress, emotional exhaustion, a lack of enthusiasm, and feeling ineffective at work- these are the things that need to be addressed. And guess what- as nurses we have an extremely useful tool at our disposal! It is called the nursing process. Assess: We need to take a step back and assess ourselves and our thoughts/feelings about our job. This is probably the MOST important step for stopping burnout. Diagnose: When we have taken the time to reflect upon ourselves and our jobs, we need to articulate the problem. Where is the issue coming from? Plan: Once we know where the burnout is coming from or what symptoms we are experiencing, we can make a plan. We need to prioritize each issue and strategize how to deal with them, one at a time. Implement: Take the plan to the next level. It is one thing to come up with the plan, now we have to act on it. How are we going to change our burnout course? When will we start taking action steps to feel better? Evaluate: How is the burnout now? Is it more, less, or the same? Do we need to stop the action and start a new one? Continue what is working? Make a change in our jobs, lives, or relationships? How do we feel after taking action? What else? 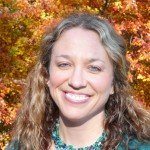 What are your thoughts about nurse burnout? What nurse burnout prevention plans work and what hasn’t worked so well for you? Share a tip with our readers below and thanks for reading! About the Author: Keynote speaker and virtual conference host, Elizabeth Scala MSN/MBA, RN, partners with hospitals, nursing schools, and nurse associations to transform the field of nursing from the inside out. As the bestselling author of ‘Nursing from Within’, Elizabeth guides nurses and nursing students to a change in perspective, helping them make the inner shift needed to better maneuver the sometimes challenging realities of being a caregiver. Elizabeth received her dual master’s degree from Johns Hopkins University. 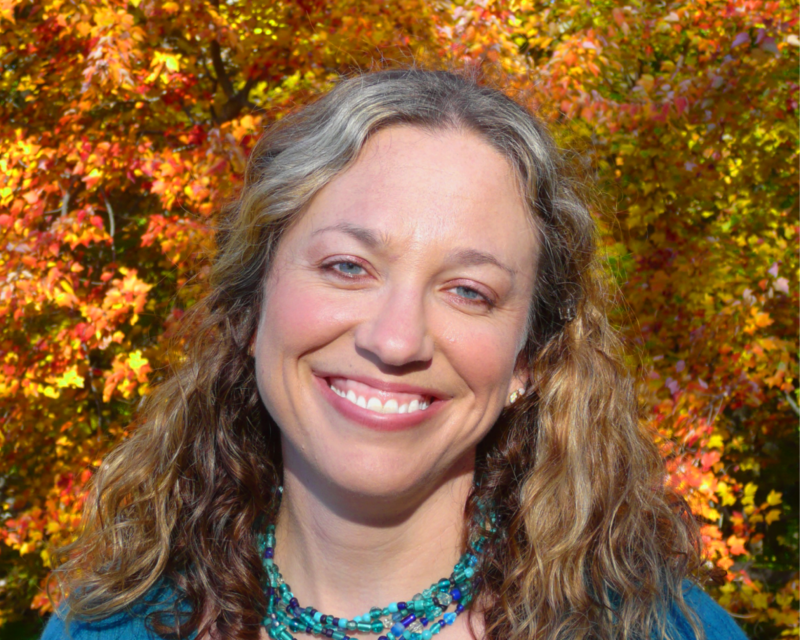 She is also a certified coach and Reiki Master Teacher. Elizabeth lives in Maryland with her supportive husband and playful pit bull. This is the second time in my nursing career I am facing what I have heard called”career ending” burnout. The dilemma is so much bigger than meer cynicism. The healthcare industry today literally challenges my ethics, morals, and values. Priorities of hospitals, home health, SNFs and the like praise the almighty dollar first, the unending and inaccurate star ratings second, even if they don’t reflect what is reality, and patient care somewhere around 4th or 5th. The “help” or nurses don’t even make the list. The problem is not nurses needing to apply the nnursing process to themselves, but rather to the system. Thank you for taking the time to share your comment. Also, I appreciate the honesty. Thanks very much. To speak to your comment, I can completely understand what you are saying. I do agree that we need to approach burnout from a multi-pronged approach. We need the organization to collaborate with the individual nurse and take care of nursing staff. Additionally, while we wait for organizations to come around, we can take a proactive stance ourselves. We can choose to take care of ourselves. Put strategies in place to prevent our own burnout. Be accountable for our own well-being. Some things in healthcare may never change. In fact, there is a lot beyond our control. What I do believe is that we are in control of our own perceptions, environments, and thoughts/feelings/actions. So… if you find yourself in a workplace that does not support you… you can choose to make a change. Or not. I hope this helps. Again, thank you for reading this blog and sharing your story. This is brilliant Elizabeth. The nursing process has become for me a neural pathway,a habit. I love that you have brought into the light what many of us use all the time. You are reminding us of the beauty and elegance of the framework that can be, of course, applied to any number of personal issues, including burnout. Thank you so much, Padma. I am glad that you enjoyed it! Wow. Your article gave me something to ponder on, which is a great thing. I think hopelessness is a descriptor for someone in the midst of burn out. When I read Jodi’s comments from above, the hopelessness was palpable. It’s hard to see hope when one is buried in frustration and problems in which there is little control. No fix to offer here other than when I was beginning to feel burned out, I found ways to dig in and offer some kind of solution. It made me feel better as if I had a bit of control. It was not easy to dig in and get creative and offer back when I was already tapped dry but it worked. Just thinking out loud and applauding you and your colleagues who investigate this and look for some relief. Burn out has been around my entire 4 decade career, and I’m sure well before I was a newbie. Thanks, Carmen. Appreciate these additional thoughts on how perspective and lack of control are things that influence burnout.